Ever since Intel launched its low-voltage SoCs and CPUs, OEMs have rushed to compete in the ultraportable and hybrid segment of the market. With the latest Kaby Lake generation, we saw even further improvement in this area and the company even renamed the Core m5 and Core m7 chips to Core i5 and Core i7 leaving only the Core m3 lineup as it is. While this suggests of closer to the full-fledged Core i5 and Core i7 series performance, it creates quite the confusion among users. 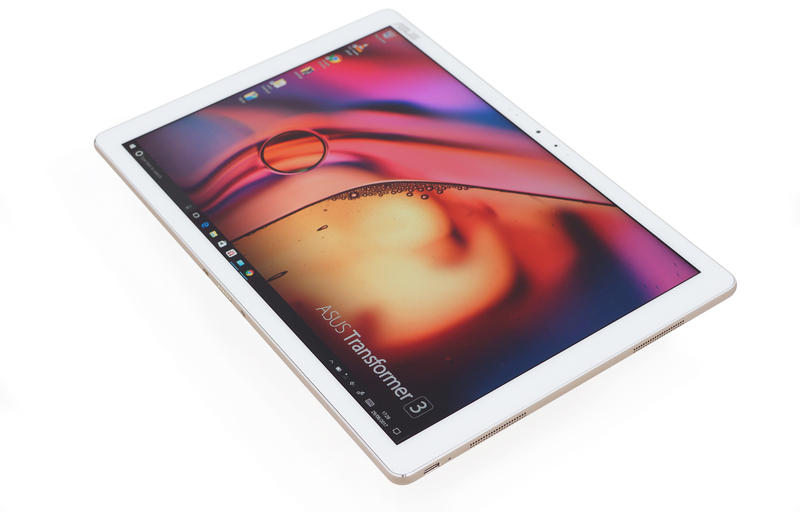 Anyway, ASUS’ latest alteration of the Transformer tablets is the Transformer 3 T305C and can be configured with up to Core i7-7Y75 but we settled for the most affordable Core m3-7Y30 chip. The real question is whether the new Transformer 3 can make a compelling case and will it beat the competitors like the iPad Pro, Acer Aspire Switch 12 S or even the Aspire Switch Alpha 12. 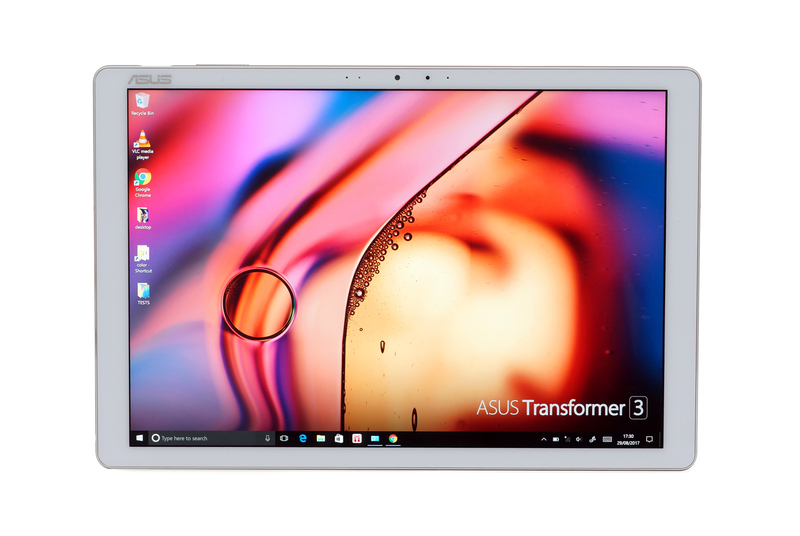 And by looking at the specs sheet, the Transformer 3 packs a good punch with a 12.6-inch WQHD+ IPS panel, solid aluminum construction, up to 8GB of LPDDR3 memory, an active stylus pen and seemingly comfortable input devices thanks to the additional dock. Quite frankly, the only thing that’s missing here is a broader range of I/O so the laptop-like experience would be complete. The device comes in a luxurious box with the keyboard dock, the active stylus, the usual user manuals and, of course, the charging adapter. The base consists of solid brushed aluminum but we have no info on the glass surface. 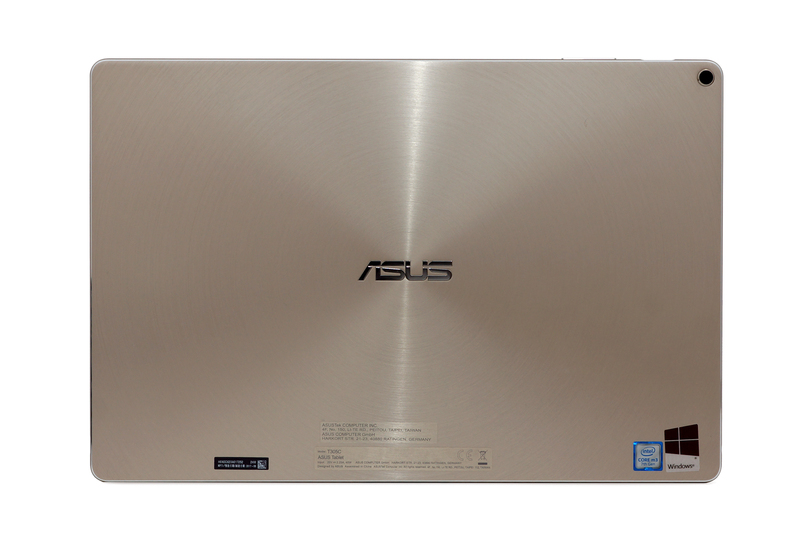 On ASUS’ official website there’s no word whether the glass is Corning Gorilla or not. In any case, the chassis exudes quality. 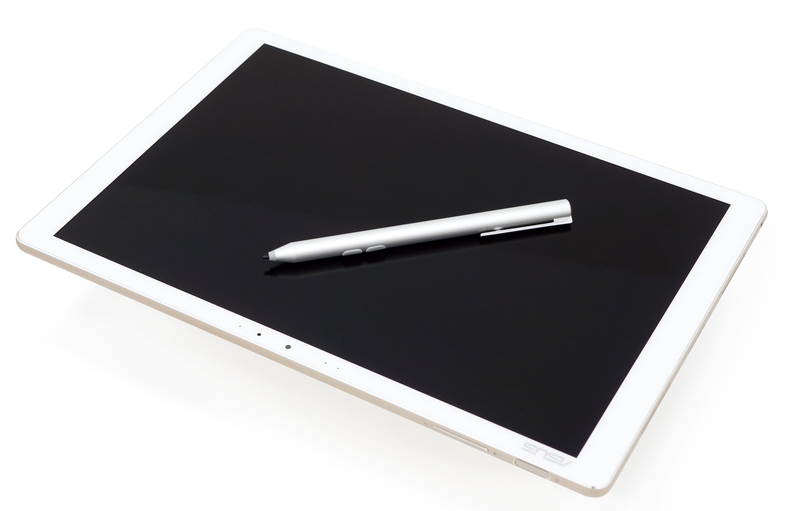 In terms of portability, the tablet is competitive as well – it weighs just 695 g and measures at just 6.9 mm in thickness. For comparison, Apple’s 12.9-inch iPad pro weighs 677 g and it’s exactly 6.9 mm thick. 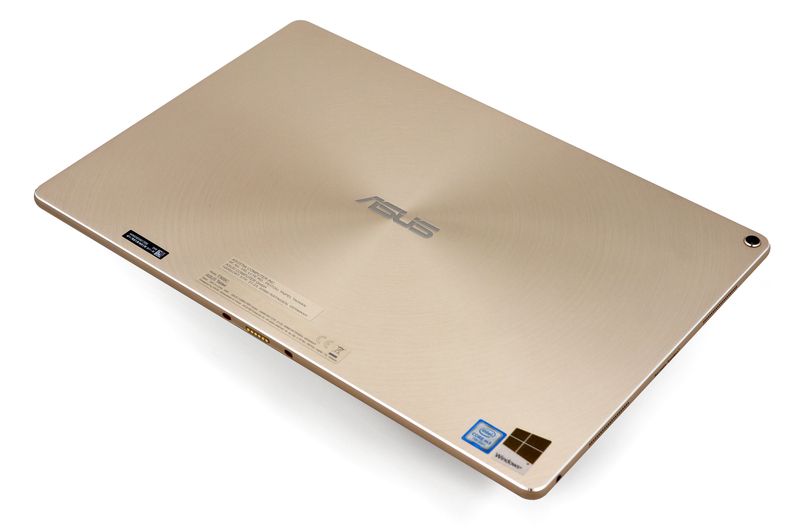 The back of the device features thick aluminum sheet with concentric brushed finish reminding us of the notebook ZenBook series. In the upper right corner, you will find the slightly protruding 13MP camera. 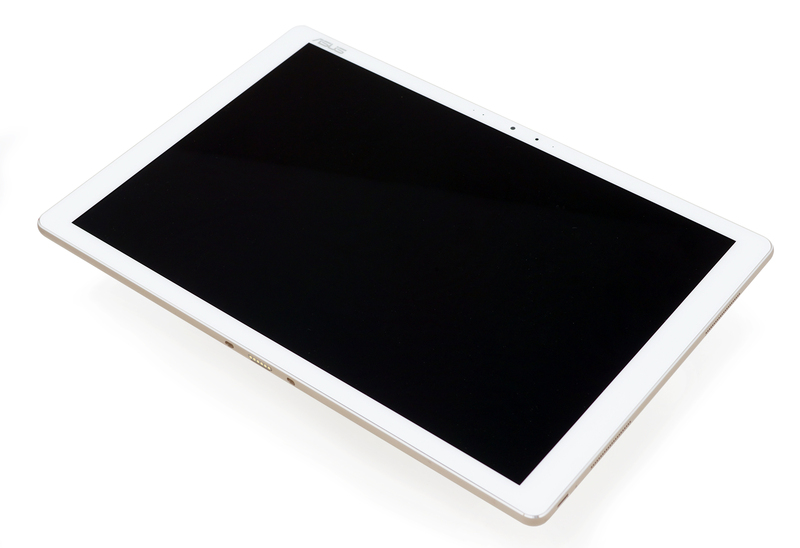 On the front, you will see the 12.6-inch screen and fairly thin upper and lower bezels. The side ones are just the right size to hold it without accidentally touching the screen with your thumb. The upper bezel provides room for a double mic setup, the ambient light sensor and the 5MP camera. The sides impress not only with its thickness but with its stylish chamfered edges. Unfortunately, though, there’s only one USB-C connector (on the right) for charging and data transfer and, of course, the 3.5 mm audio jack on the left. The upper side accommodates the power button and the volume rocker, while the dock connector is placed at the bottom. One of the key features is the Harman Kardon branded quad speakers placed on the left and right side in pairs. 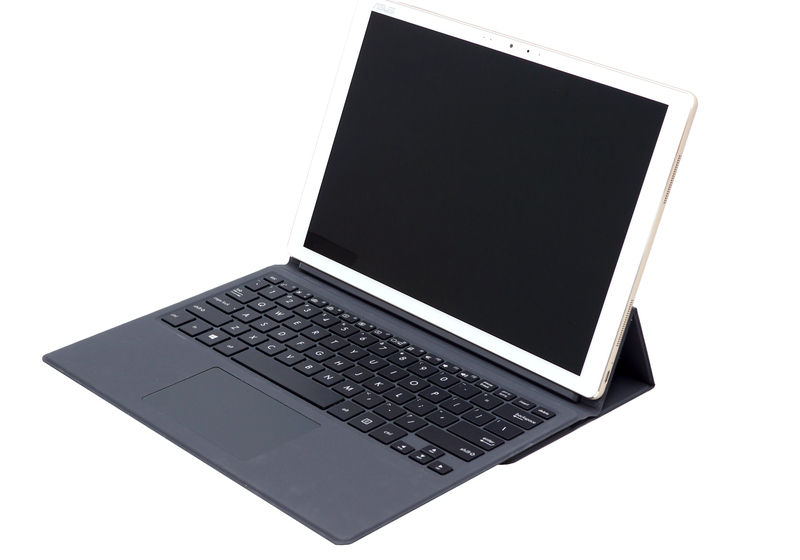 The keyboard dock is flexible and when attached to the tablet, it provides protection and expanded usability. It’s adjustable and supports the tablet in two largely different angles, although we think they will be enough in most cases. The dock itself is made of soft-touch kind of fabric (at least it feels like one) and doesn’t attract fingerprints but collects dirt and dust quite well. And as for the input devices, they are surprisingly good for a hybrid like this. The clickpad is not only usable but provides excellent working experience thanks to the buttery smooth surface, light and clicky feedback. The surface registers swipes and gestures quite accurately. Pretty much the same goes for the keyboard – maybe a bit shallow but each key press results in clicky, audible and tactile feedback. The bonus here is the discreet LED backlight. 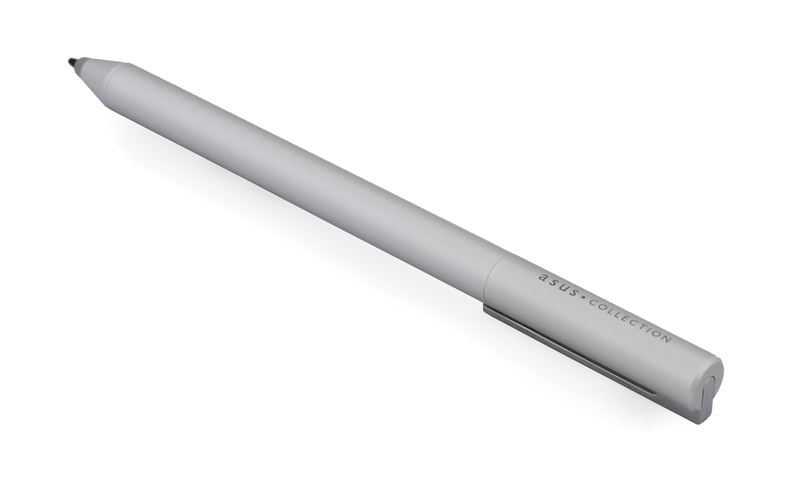 The stylus has aluminum body with two small buttons activating various options while working with the pen. It’s definitely a nice alternative for working with the touchscreen but it cannot be docked and its usability for creativity is rather questionable. The device uses an IPS display featuring 2880×1920 pixels resolution that fits in a 12.6-inch diagonal. This means that the pixel density is 275 ppi while the pixel pitch is 0.0925 x 0.0925 mm. The panel is manufactured by BOE with model number NV126A1M-N52 (BOE06D0) and can be considered as “Retina” from at least 33 cm. We’ve recorded a peak brightness of just 442cd/m2 in the center of the screen and 416 cd/m2 as average across the surface with 13% maximum deviation. The correlated color temperature at maximum brightness is a bit colder than it should be – 7600K and remains the same as we go along the grayscale. You can see how these values change at 140 cd/m2 (41% brightness) in the image below. The maximum color deviation dE2000 compared to the center of the screen should be no more than 4.0 and if you are planning to do color-sensitive work, it should be lower than 2.0. But in this case, since the tablet is going to be used mostly for office work, web browsing and multimedia, a deviation of 3.6 in the upper right corner is somehow acceptable. The contrast ratio is pretty high – 1200:1. In this case, the display covers 98% of the sRGB color space. We recorded Fall Time + Rise Time = 18 ms. Unfortunately, the display uses PWM for regulating brightness and the frequency of the emitted light is extremely low and aggressive – 200 Hz. At 100% brightness, though, the panel doesn’t use PWM. The display used for the Transformer is excellent when it comes to image quality. It offers high maximum brightness, good viewing angles, wide sRGB color gamut coverage and high contrast. However, the aggressive PWM that’s used from 0 to 99% brightness is a bit of a letdown. 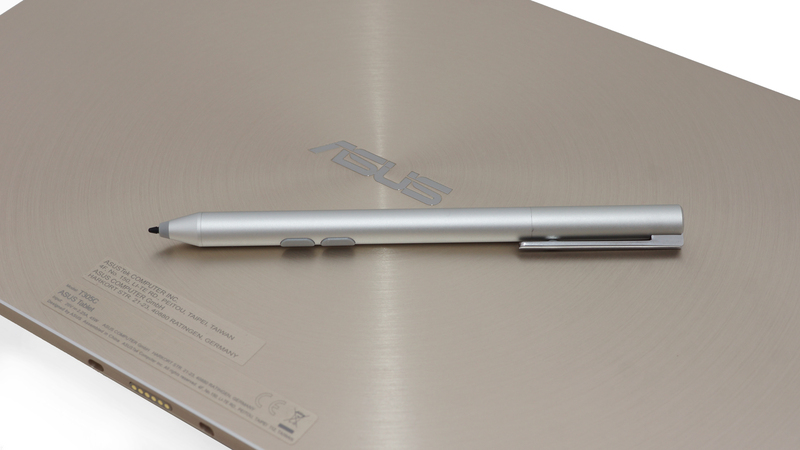 We used the pre-installed Windows 10 for the writing of this review but if you wish to perform a clean install of the OS, we suggest downloading all of the latest drivers from ASUS’ official support page. To be honest, we’ve expected a bit longer battery life since the device uses a rather small 12.6″ IPS panel, an energy-efficient Intel Core m3-7Y30 SoC and a reasonably-sized 38.5Wh battery but probably the extra pixels on the screen (2880×1920) took a toll on the battery life. In any case, the battery endurance is rather unsatisfactory, especially compared to some of the 13-inch laptop alternatives on the market. Of course, all tests were performed using the same settings as always – Wi-Fi turned on, screen brightness set to 120 cd/m2 and Windows battery saving feature turned on. The Intel Core m3-7Y30 chip is a two core/four thread SoC implementation, and the most budget oriented from all of the ultra low powered Core m line up. It ticks at 1.00 GHz base clock speeds and can go up to 2.60 GHz on demand with the Turbo Boost technology. It can be found in all kinds of portable devices like light laptops, 2-in-1’s and some tablets. 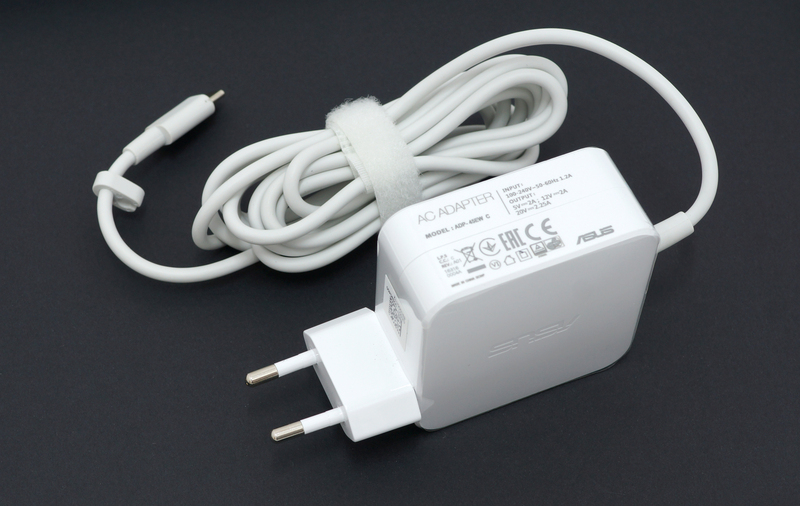 Its main advantage is the very low power demand of 7 W for the entire package, which includes the GPU. Speaking of GPU, the Core m3-7Y30 is equipped with an HD Graphics 615 video controller, which has a base frequency of 300 MHz and a maximum one of 900 MHz. It also supports 4K video output. The chip also supports up to 16 GB of LPDDR3/DDR3L memory with maximum clock speeds of 1866 MHz and 1600 MHz respectively. Intel’s HD Graphics 615 is a low-end integrated graphics unit found in Y-series Kaby Lake processors. It incorporates 24 EUs (Execution Units) like all GT2 units and can be clocked at up to 1050 MHz while the base frequency is 300 MHz. With these specs, the chip is integrated into KBL-Y processors rated at 4.5W TDP, including the memory controller. Since the iGPU is using the same architecture as before, the most noticeable feature would be the full hardware acceleration of the H.265/HEVC Main10 and Google’s VP9 codecs. With this, Intel aims to improve the overall energy efficiency and performance of the iGPU. Of course, the device isn’t made for long and heavy workloads but we still did the usual stress test to see how the system is able to utilize the Core m3-7Y30 SoC since devices with passive cooling solutions often struggle to maintain or at least reach the maximum clock speeds of the CPU. Running the CPU stress test shows that the system doesn’t utilize the full performance of the CPU. For the first minute or so, the cores ran at 1.9 – 2.0 GHz but then clocked down to 1.4 GHz stable. Even though Intel hasn’t specified the maximum Turbo Boost frequency for two active cores we assume that the chip can run at least 2.3 – 2.4 GHz with two active cores. 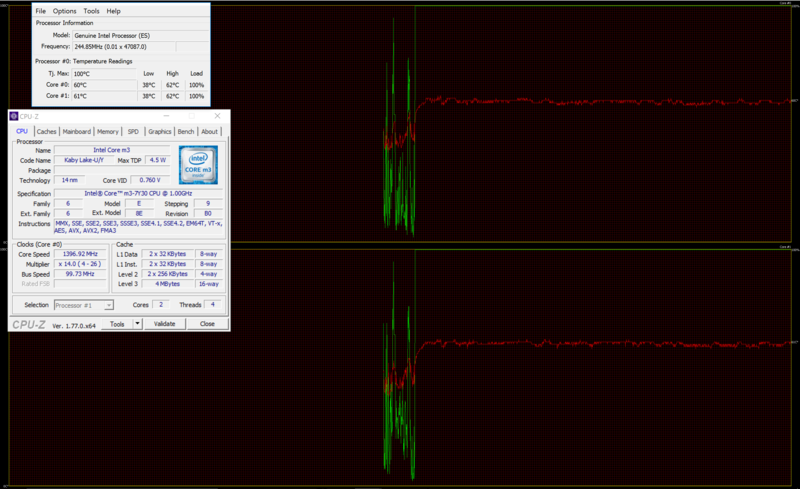 So reaching just 2.0 GHz for a short period of time suggest of poor utilization. As we ran the GPU stress test, the CPU frequency dropped to around 400 – 500 MHz so it can give enough headroom for the CPU to perform – nothing out of the ordinary. 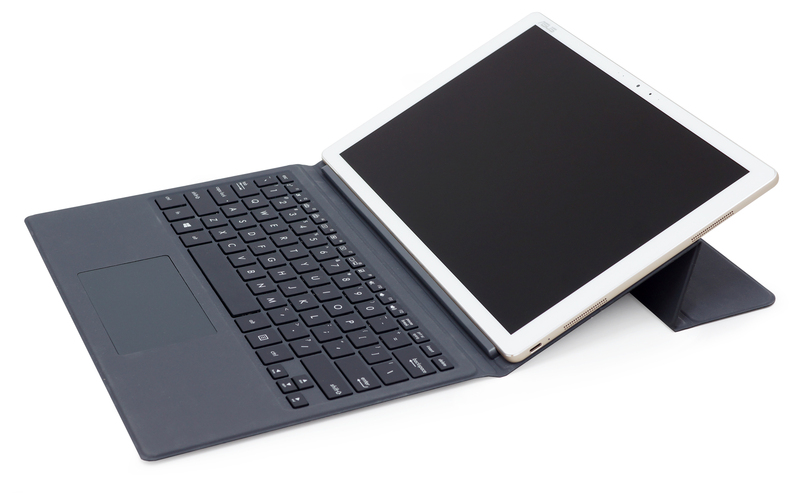 The Transformer 3 excels in what it’s built for – to be a good rival of the iPad Pro. And it makes a compelling case in this regard – it’s cheaper, it has pretty powerful CPUs for the higher tier configurations and carries a comfortable keyboard dock that will let you forget all about your conventional notebook. 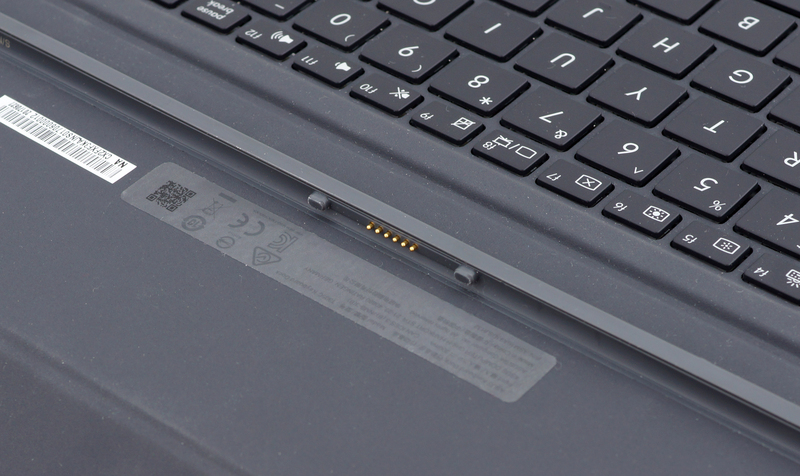 However, there are some things that the standard notebook can do and the Transformer 3 can’t. For starters, the CPU is rather limited in terms of performance probably due to the closed and passive cooling design. Secondly, the battery life is rather disappointing despite the generous battery capacity, energy-efficient SoC and small display. In addition, due to the very nature of the form factor, connectivity is going to be an issue due to the missing I/O. 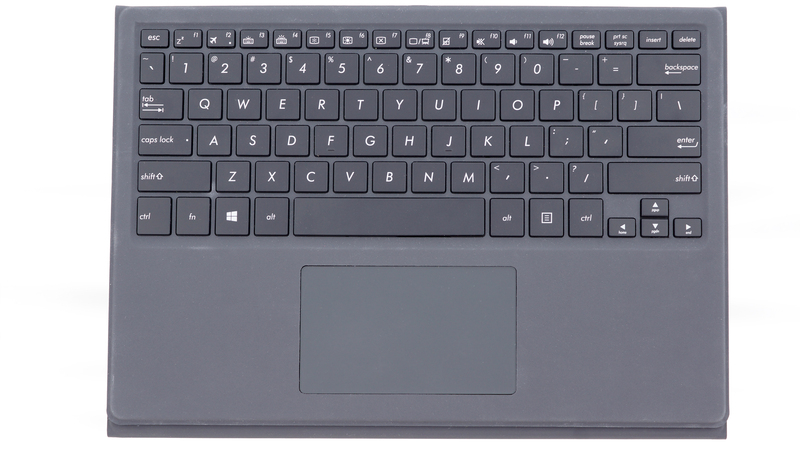 Of course, if you are looking into 2-in-1s like the Transformer 3, the I/O probably isn’t a deciding factor anyway. And last, but not least, the presence of PWM from 0 to 99% brightness isn’t exactly an issue limited to tablets but the aggressive one used in this device should raise some red flags to potential buyers with sensitive eyes. Once again, if you are looking for a sleek, compact and still capable of running a full-fledged Windows OS, the Transformer 3 is one of the best choices out there as long as you are okay of sacrificing some performance, I/O and battery along the way. It still is cheaper than the iPad Pro and the 13-inch Windows notebooks.